Posted on 24th April 2018 at 11:57 am. 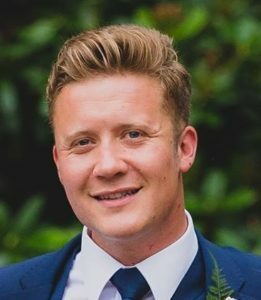 The Directors of Harold Stock & Co. are delighted to welcome Scott Turner-Percy on board. Scott joins our Commercial Litigation team from Prosperity Law in Manchester city centre. Scott is known for his expertise in all aspects of litigation in relation to regulatory and white-collar crime investigations. Scott has regularly been instructed to defend investigations conducted by regulatory/investigative authorities, including FCA, HMRC, SFO, NCA, HSE, BIS, Trading Standards and the Police. Scott has experience in handling cases which include disputes with HMRC, EA, FCA and the SRA. This has provided him with the requisite skills to understand how investigations are co-ordinated. He is able to provide robust strategic advice and has the ability to negotiate with investigators. Scott’s more notable cases have included MTIC, carbon credit fraud, publishing fraud, pension liberation schemes and money laundering. He can provide expert advice on Money Laundering Regulations, assist with compliance procedures together with anti-money laundering systems. He is also recognised as an expert in complex large-scale and multi-jurisdiction confiscation proceedings for high net worth clients. He is well known for his persistence and attention to detail which is rare to find and yet absolutely necessary in complex confiscation proceedings. Scott has also acted on behalf of third party individuals seeking to protect assets caught up in confiscation proceedings..
Scott is a registered member of the Proceeds of Crime Lawyers Association (POCLA). His exposure to such cases has allowed him to gain a commercial edge and confidence from clients and peers. He has developed a sound commercial understanding having gained a client base, network via accountants and other financial professionals. Scott’s experience and insight with complex investigations will enhance our Commercial Litigation department. Harold Stock & Co now provides a full range of services in respect of all disputes whether that be civil or criminal litigation. Similarly, Scott is looking forward to gaining further exposure in advising corporate entities, commercial disputes between directors and shareholders, which he foresees will allow him to have a more balanced case load.